Bay windows became popular during the Victorian era. Their curved or protruding design allows a wealth of natural light to enter a building creating an airy and spacious ambience in a property’s interior. At FineLine, we can replace your existing bay windows with modern high performing alternatives. If you don’t have bay windows, we can build a roof and base which will allow installation and create extra floor space inside your home. 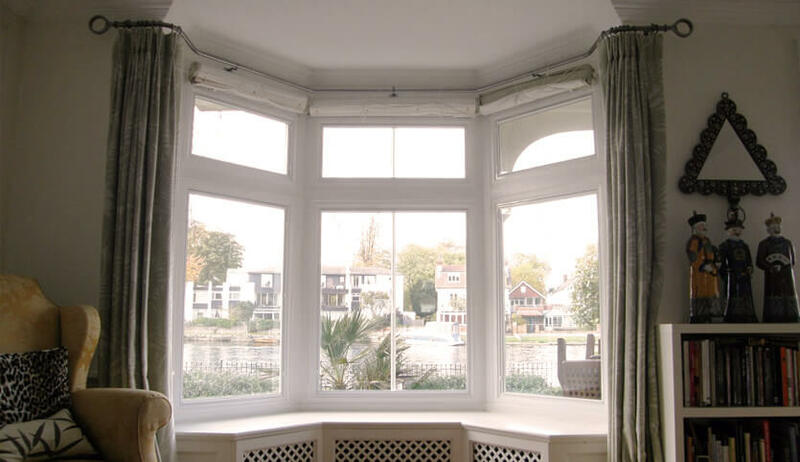 Bay windows are stylish and attractive and will suit any type of property. Their protruding design creates a convenient window alcove where you can relax with a book or watch the world go by. A window seat can be installed, or the extra space can be used as a storage solution. The interior angle of the bay windows can be specified as 90, 135, or 150 degrees depending on your requirements. 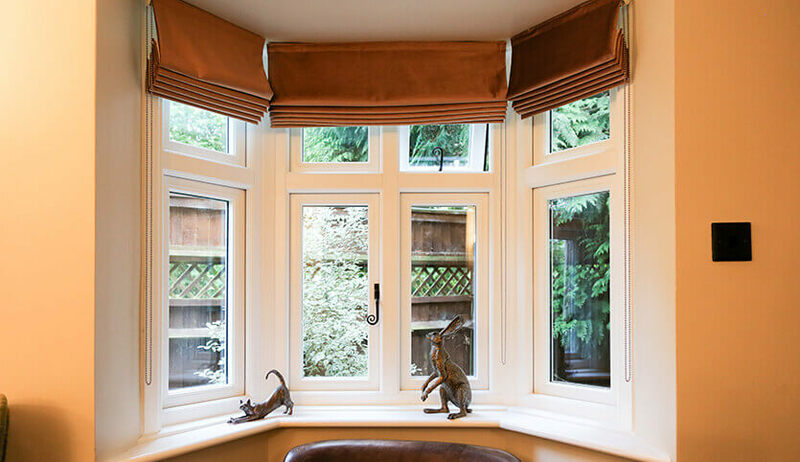 When you want the perfect blend of the classic and the contemporary, choose our stylish bay windows. As with all our replacement window options, our bay windows are sure to improve the performance of your home. When professionally installed by our team of industry experts, you’ll see a noticeable difference in the warmth and thermal efficiency of your home. 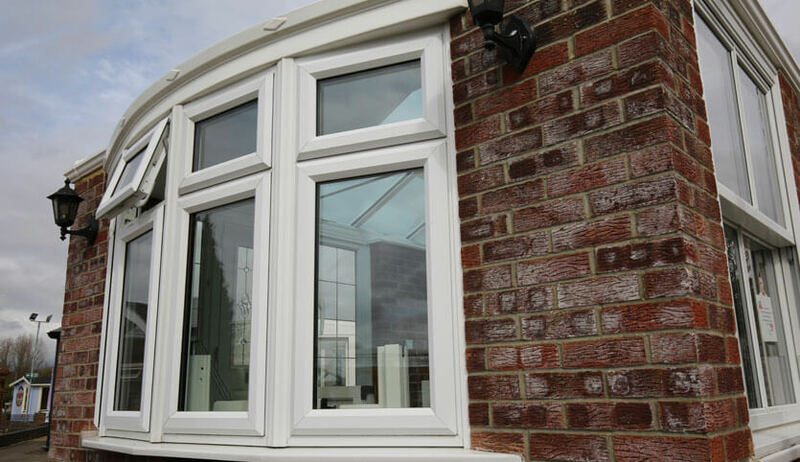 When it comes to security, our bay windows feature high-tech locking systems to protect your property. Save money on reduced heating bills and relax knowing that you are safe and secure. 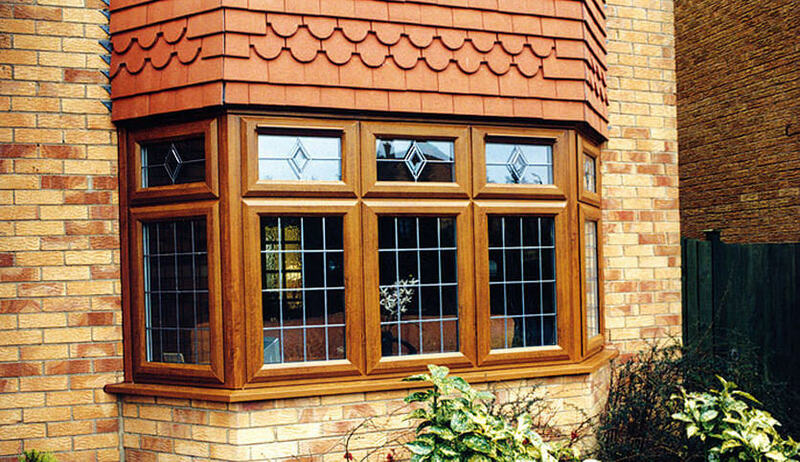 Our bay windows are available in uPVC, aluminium, or timber to suit any style of property. Combine traditional aesthetics with contemporary performance. Our realistic wood effect finishes are available in white, black, oak, cream, and natural. Use our Kolor Bond system to create the perfect shade for you. For the ultimate in customisation choose any RAL colour for your uPVC, timber, or aluminium windows. Our uPVC, timber, and aluminium bay windows are double glazed for a warmer, safer home. Customise your frames and add Georgian bars in a variety of configurations.